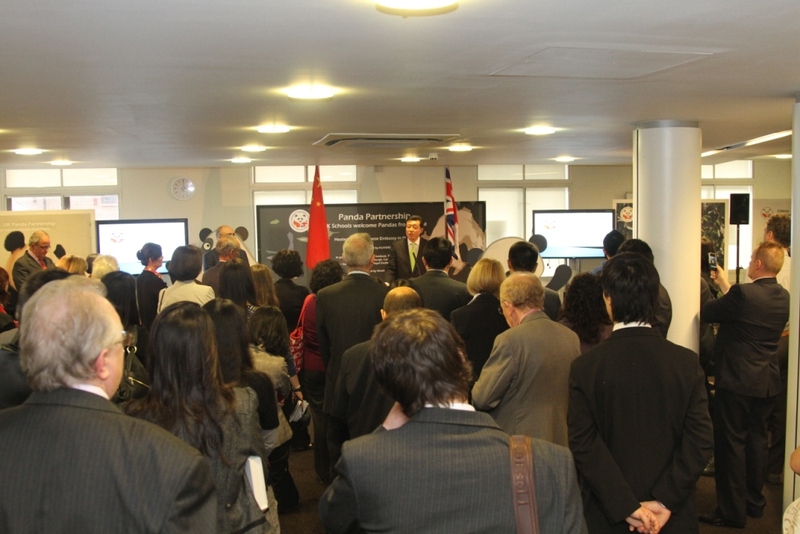 In the afternoon of November 10, the Confucius Institute of Traditional Chinese Medicine at London South Bank University was filled with guests. A 2-meter-high huge inflatable panda standing inside the gate was attracting the curious gaze of passers-by. There were also two giant pandas made up by volunteers joyfully greeting the guests. 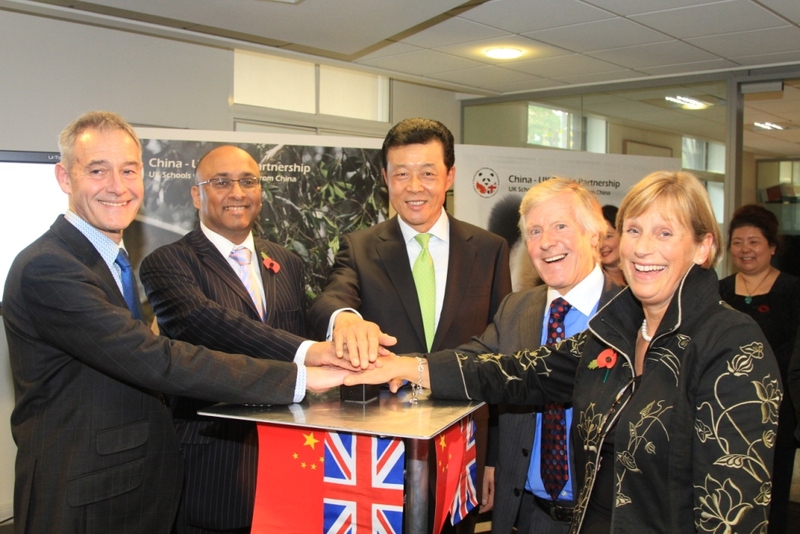 It turned out that all these were for the launch of the China-UK Panda Pals project held by the Chinese Embassy. Going into the hall, one can also see a full range of panda elements: From the pictures of giant pandas Tian Tian and Yang Guang to the poster boards with the knowledge on giant pandas and on China, to the ink and wash paintings of the charmingly naïve giant pandas, and to the rolling playing of panda videos, all gave a strong sense of "panda mania". Ambassador Liu Xiaoming, Madam Hu Pinghua, Mr. Mark Hendrick, Chairman of All Party Parliamentary China Group, Mr. David Longbottom, Chair of the Board of Governors of London South Bank University, Mr. Hugh Roberts, Chief Executive of the Royal Zoological Society of Scotland, and many other guests met together at the event. The launch has also gathered over 100 representatives who were eagerly looking forward to the arrival of Tian Tian and Yang Guang, including those from the co-hosts of the event – the Confucius Institute of the Specialist Schools and Academies Trust, the Confucius Institute of Traditional Chinese Medicine of London South Bank University, the Confucius Institute for Scotland at the University of Edinburgh and the UCD Confucius Institute for Ireland, those from the participants – the principals and teachers of the primary and secondary schools across the UK, and those from the departments such as the Foreign and Commonwealth Office, the Department for Business, Innovation and Skills, British Council, 48 Group Club, China-Britain Business Council, etc. Mr. David Longbottom, Chair of the Board of Governors of London South Bank University, first delivered a welcome speech. 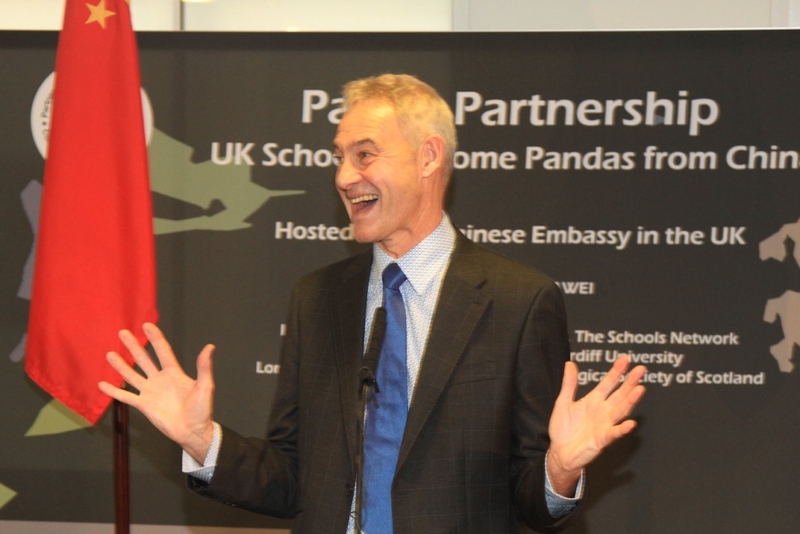 He said that the panda education project for primary and secondary schools held by the Chinese Embassy is just in time on this occasion when the British people from all walks of the society, especially the young, are warmly welcoming the arrival of the pandas, and that it is a great honour for London South Bank University to serve as a co-host of the event. Ambassador Liu Xiaoming delivered a speech in the warm applause of the audience. 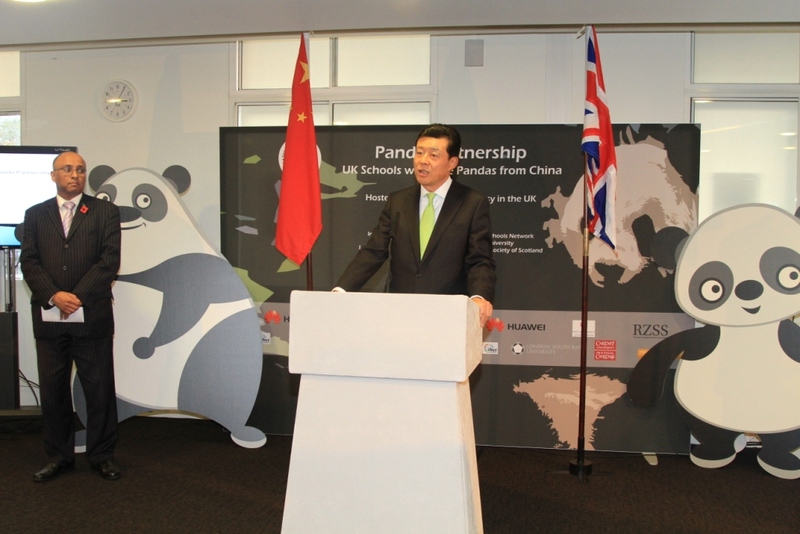 He first announced the launch of the China-UK Panda Pals Project serial activities. The Ambassador introduced the many aspects of the symbolic meaning of "Panda Pals": First, the arrival of the two pandas is part of a 10 year joint research programme to find out how human-bred pandas can survive in the wild. Second, the arrival of the pandas will enhance the friendship between the two peoples and promote in-depth exchanges and cooperation in education and culture. Third, the second arrival of pandas after the first one many years ago coincides with the 40th anniversary of the establishment of the ambassadorial diplomatic relations between China and the UK. 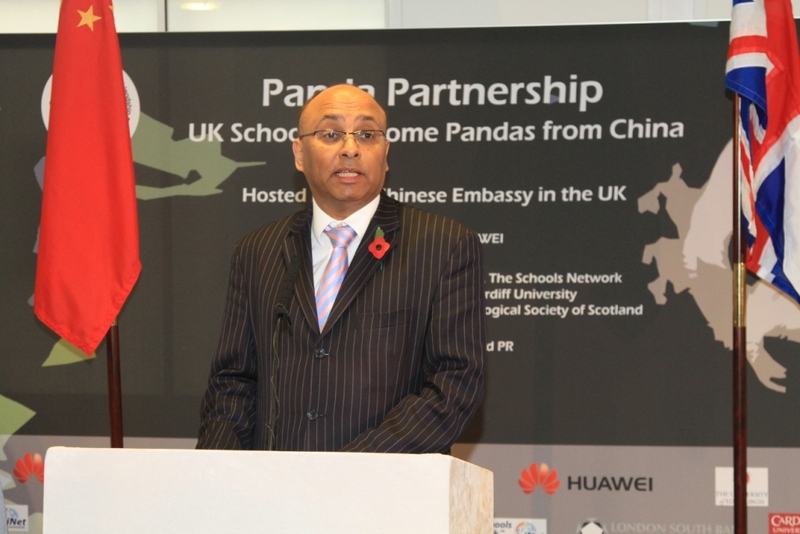 Ambassador Liu said that from today on, the Panda Pals education project will launch a speech contest and a drawing competition among over 100 primary and secondary schools all over the UK on the platform of the expected Panda Pals website with the support of the system of Confucius Institutes. He hoped that the competitions would build knowledge, spread fun and enjoyment into the learning process and strengthen friendship and understanding. 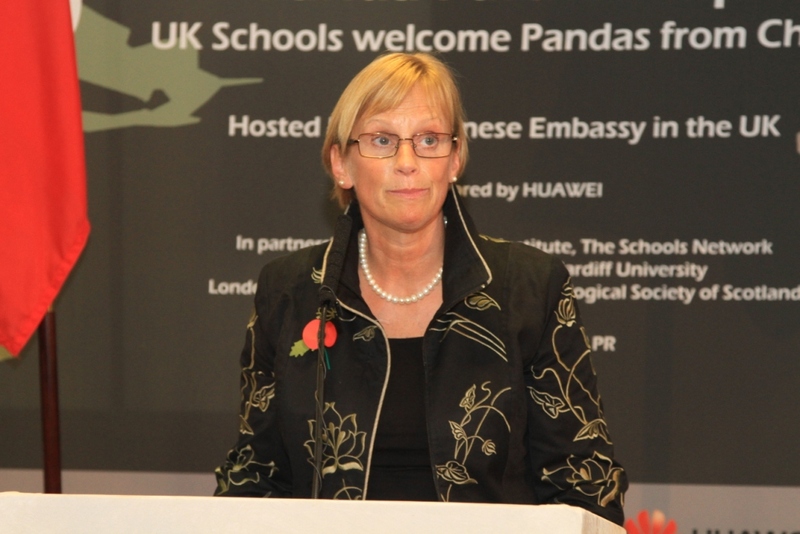 Ambassador Liu invited the guests to gather at the Chinese Embassy next year for the finals of the competitions to draw a successful conclusion together for the China-UK Panda Pals education project. 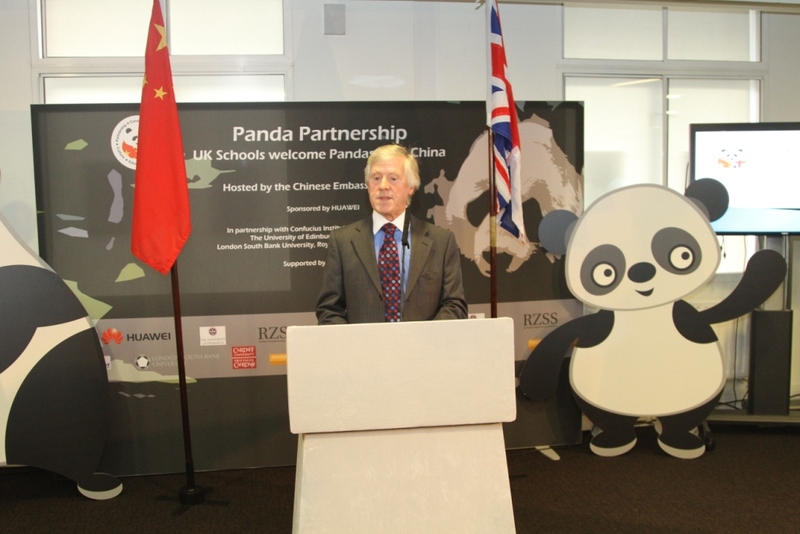 Mr. Mark Hendrick, Chairman of All Party Parliamentary China Group, pleasantly recalled how a pair of pandas came to the UK soon after the establishment of full diplomatic relations between the two countries and facilitated the development of the bilateral ties. The arrival of the pandas in the new century is symbolic of the continuous progress in the UK-China relations in politics, diplomacy and culture. Mr. Hendrick said that the All Party Parliamentary China Group is working to promote better knowledge and understanding of China in the British Parliament. To this end the APPCG hosted the UK Confucius Institutes National Conference in September to discuss and exchange information and best practice on the sustainability of the Confucius Institutes in the UK and the promotion of a better understanding of China among the British public. The Panda Pals project will educate children about Chinese language, culture and history and thus best prepare them to adapt to the changing geo-political and economic landscape. He wished the Panda Pals project every success and all the students good luck in the competitions. Ms. Gigi Luscombe, representative of the participating schools and Chief Executive of the Future Schools Trust, finally delivered a speech. 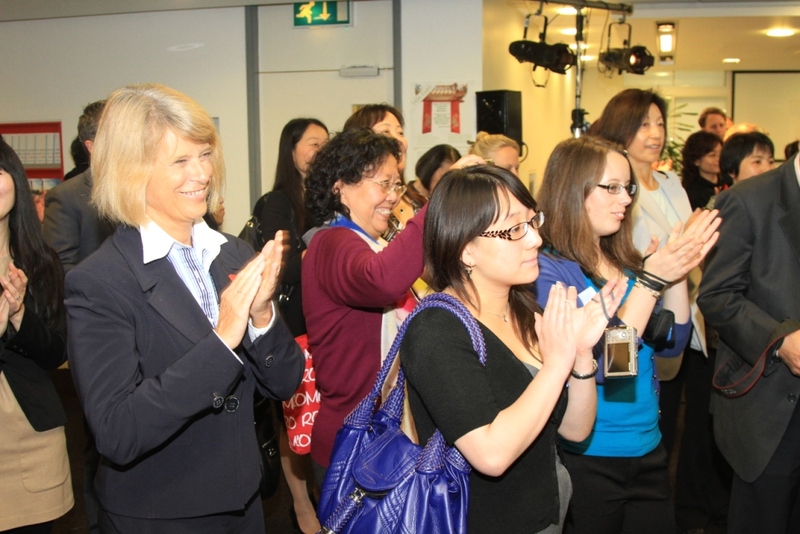 She shared the experience of the Trust in promoting the teaching of Chinese language and said that the multi-cultural learning not only help the British students to understand and tolerate other cultures in the world, but also facilitate their healthy growth and comprehensive development in the new century. All the participating schools are committed to promoting the teaching of Chinese language. She believed that through the participation in the panda education project, the schools and teachers would be able to benefit the local area with a global perspective. Another exiting moment came after the speeches. In the countdown music, Ambassador Liu, Mr. Hendrick, Mr. Longbottom, Mr. Roberts and Ms. Luscombe pressed the start button of the Panda Pals website together. The cute cartoon panda images, unique logo design and wonderful column contents immediately appeared in front of everyone, winning rounds of applause and praise. The two made up giant pandas, reluctant to be left alone, pushed to the side of the podium and blocked everyone's sight, causing a burst of laughter. As it was getting dark, the event was close to the end. But the guests still lingered on. 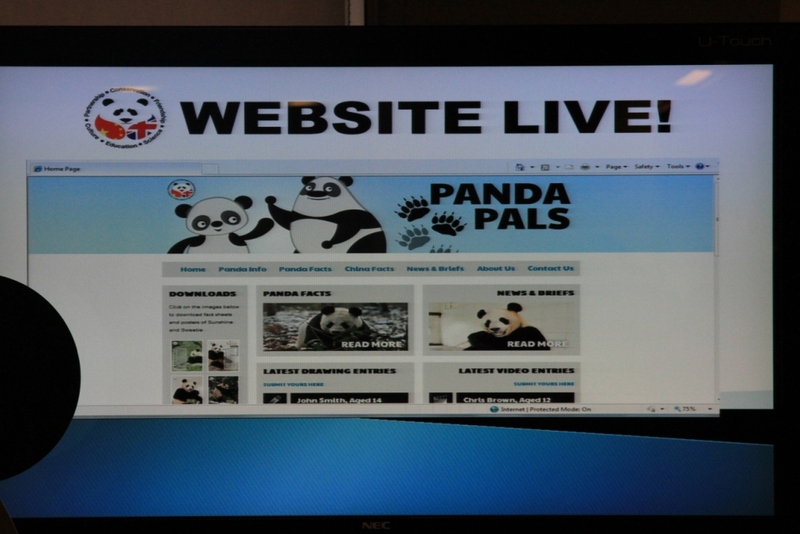 Some of them enjoyed the website around the computer table, some appreciated the display in the exhibition area, and some rushed to take photos with the two "artificial pandas". They congratulated the Embassy on the success of the launching ceremony of the Panda Pals project and expected that in-depth activities would be carried out to develop more panda lovers and Chinese language lovers in the primary and secondary schools in the UK and to make contributions to the spread of Chinese language and culture and the further development of the China-UK relations. At this time, the staff presented the last surprise by handing the cute stuffed panda toys to the guests. Mr. Norman Hoare, Headmaster of St. George's V. A. School expressed the shared view of the guests: Whether for ecological research, scientific cooperation, education exchange or cultural communication, giant pandas are the best gift from the Chinese people. They spread knowledge and joy and convey true friendship.